WASHINGTON, Jan 26 2015 (IPS) - Much has been written about King Abdullah’s legacy and what Saudi Arabia accomplished or failed to accomplish during his reign in terms of reform and human rights. Very little has been written about the role that Muhammad bin Nayef, the newly appointed deputy to the crown prince, could play in the new Saudi Arabia under King Salman. 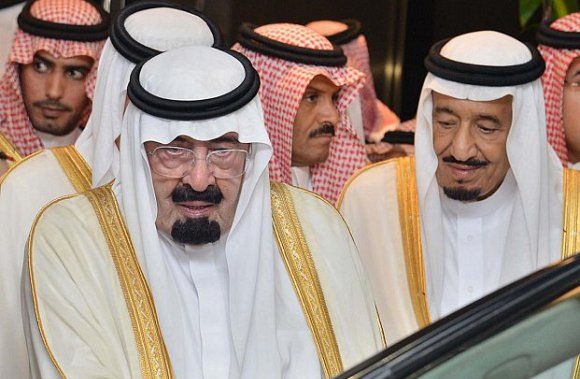 King Salman is 79 years old and has reportedly suffered one stroke in the past that has affected his left arm. The next in succession, Crown Prince Muqrin, is 69 years old. The future King Muhammad also will have to deal with high unemployment among Saudi youth and the massive corruption of the royal family. Muhammad bin Nayef—or MBN as he is often referred to in some Western capitals—is only 55. As age and ill health incapacitate his elders, MBN could play a pivotal role as a future crown prince and a potential king in the domestic politics of Saudi Arabia, but more importantly in the kingdom’s regional politics. The uncomfortable truth is that under King Abdullah, Saudi Arabia maintained a terrible human rights record, undermined the democratic ideals of Arab Spring, and supported dictatorships in Egypt and Bahrain. It also promoted ugly sectarianism, preaching an ideology that gave rise to the Islamic State (ISIS or IS) and other terrorist organisations. The kingdom supposedly did all of these things in the name of fighting Iran. The equally inconvenient truth is that the Obama administration in the past four years has barely objected to Saudi Arabia’s undemocratic, corrupt, and repressive policies. The Saudi noose around the American neck should no longer be tolerated. MBN, two kings down the line after Salman and Muqrin, could reset Saudi Arabia’s domestic and regional policies and free Washington of Riyadh’s burden. As king, MBN would be the first such monarch of the second generation of al-Saud. As a relatively young ruler, he would be comfortable in entertaining new ideas and communicating credibly to Saudi youth. I base this analysis on interactions I had with him during my government service several years back. I discerned several characteristics in MBN that could help him as a future king of Saudi Arabia to nudge the country forward and perhaps usher in a period of real reform. He has a sophisticated knowledge of the root causes of terrorism and radicalisation and how to combat them. He also has a pragmatic approach to regional politics, especially Iran’s role as a regional power, and the linkage between regional stability and Saudi security. According to media reports, MBN started a comprehensive deradicalisation programme in Saudi Arabia with an eye toward persuading Saudi youth to recant radicalism and terrorism. His two-pronged strategy has exposed youth to moderate Islamic teachings and provided them with jobs and financial support to buy a house and get married. MBN believes that extremist ideology, economic deprivation, and hopelessness drive young people to become radicalised. Despite the relative success of his programme, however, more and more Saudi youth have joined the ranks of radical groups, such as al-Qaeda in the Arabian Peninsula (AQAP) and IS. Lacking a position of national authority beyond his counterterrorism portfolio, MBN could not really address the source of radical ideology without bringing the wrath of the Saudi religious establishment down on his head. As king, however, he might be able to tackle this sensitive issue. MBN will face huge obstacles if he decides to address this issue—politically, historically, and culturally. Conservative, intolerant radical Sunni ideology has existed in Saudi Arabia for a long time and can be traced back to the 18th-century teachings of Muhammad ibn Abd al-Wahhab. Since then Saudi culture has been imbued with this interpretation of Islam. However, as a king representing a younger, Western-educated generation of royals and cognizant of the growing desires of Arab youth for freedom, MBN might feel more empowered to face down the religious establishment in the country. Furthermore, he might feel less bound by the generations-old agreement between the founder of Saudi Arabia and the al-Shaykh family, which gave al-Saud greater leeway to rule and reserved to the Salafi religious establishment the authority to act as the moral guardian of Saudi society. Significant segments of the Saudi people want economic and political reform. They have expressed these views in petitions, on social media, and in action. Shia activists have protested systemic regime discrimination for years. The Saudi government has illegally jailed these activists, convicted them in sham trials, tortured them with impunity, and even killed them. The future King Muhammad also will have to deal with high unemployment among Saudi youth and the massive corruption of the royal family. In order to avoid a “Saudi Spring,” which is destined to erupt if current policies continue, MBN will have to inject large amounts of money into job creation projects. He will also have to provide a new kind of education, which would allow Saudi job seekers to compete for employment in the technology-driven, 21st-century global economy. Despite the astronomical wealth Saudi Arabia has accumulated in the past half-century, Saudi education still produces school graduates unqualified to compete in the global economy. As a modernising king, MBN will have to change that. Regionally, MBN realises that Gulf stability is integral to Saudi security. For Gulf security to endure, he will have to accept Iran as a significant Gulf power and search for ways to develop a mutually beneficial partnership with his Persian neighbour. Iran could be a helpful partner in helping settle the conflicts in Bahrain, Yemen, Syria, Iraq, and other spots in the region. If the P5+1 bloc concludes a nuclear agreement with Iran, the United States and Iran would embark on a new relationship, with which Saudi Arabia will have to come to terms. MBN will also realise, for example, that continued conflict in Bahrain will ultimately destabilise the Gulf region, which will harm Saudi interests. As such, he would have to push al-Khalifa to institute genuine political reform in Bahrain, end systemic discrimination against the Shia majority, and include them in the economic and political process. As a first step, he would have to withdraw Saudi troops from Bahrain, where they have failed to quell anti-regime protests. Will MBN be able to do it? Based on MBN’s knowledge of the region and of the terrorist threat to his country, the chances of instituting real political and religious reform during his future reign are 60-40 at best. As a prerequisite for success, he will have to consolidate his power vis a vis the conservative and powerful elements within the royal family. Most importantly, he will have to overcome the opposition of the religious establishment. His success could be historic. But his failure would be catastrophic for the future of Saudi Arabia. Al-Saud and other Gulf ruling families would not be able to maintain control forever over a population that is increasingly alienated, unemployed, and constantly yearning for a more hopeful future. The United States should also pay close attention to MBN’s chances of success and should tacitly encourage him to move forward with courage. Regardless of the party controlling the White House, Washington can’t remain oblivious to what’s happening in Saudi Arabia and other Gulf monarchies.